We have a great number of successful projects in more than 400 cities in Russia since 2013 year. To find your target audience. 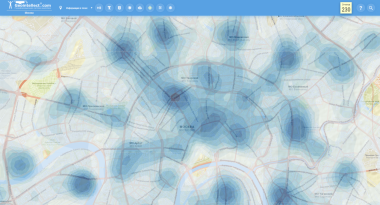 To analyze the most attractive places for customers. 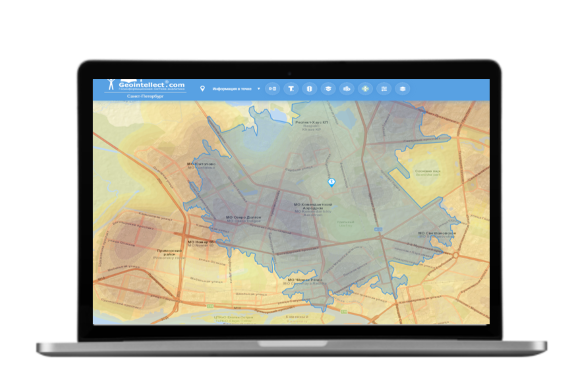 Clients use a customized «Geointellect™.cloud» (SaaS) in small or medium business (franchising) for geomarketing (a new location assessment) as well as for target audience analysis to adjust the assortment and geo-target advertising (geotargeting). «Geointellect™.cloud» may be used by large companies as well if they don’t want to launch corporate geoinformation platforms and integrate them into their business processes. 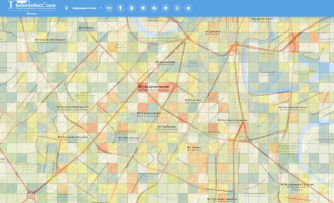 Geointellect™.Cloud – How does it work? 1. 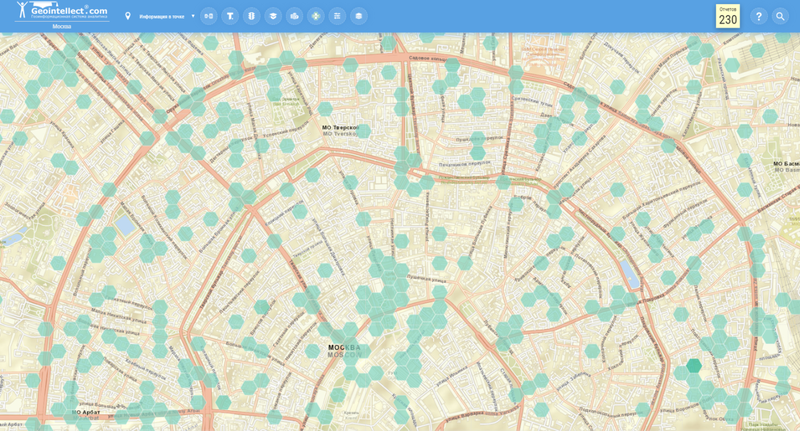 A big client (or sometimes a regular one) needs to get a location analysis (a new place or a current one). 2. The client visits our website and calls our manager–analyst. 3. 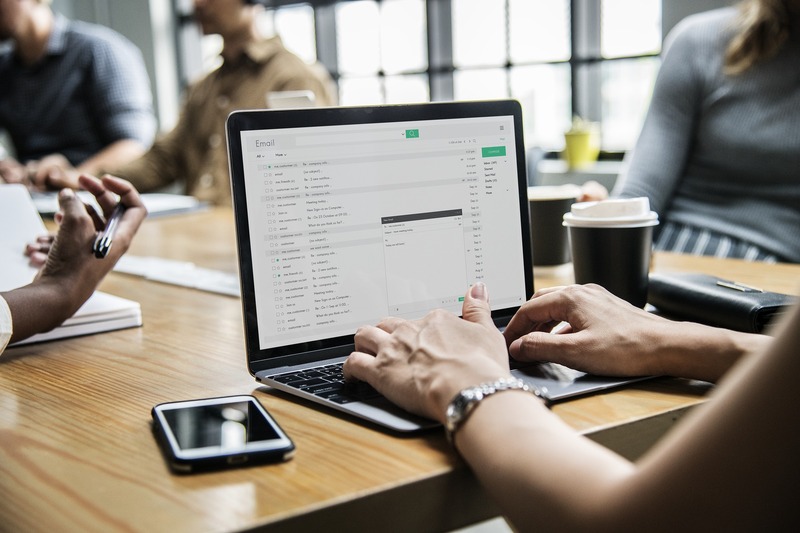 Our manager-analyst helps to choose a suitable service for the particular task and/or connects production managers to solve more complex issues (options). 4. Signs a licensing contract for a period, sets up the system in the Dashboard, and follows-up regularily (1, 3, 6, 12 months). 5. 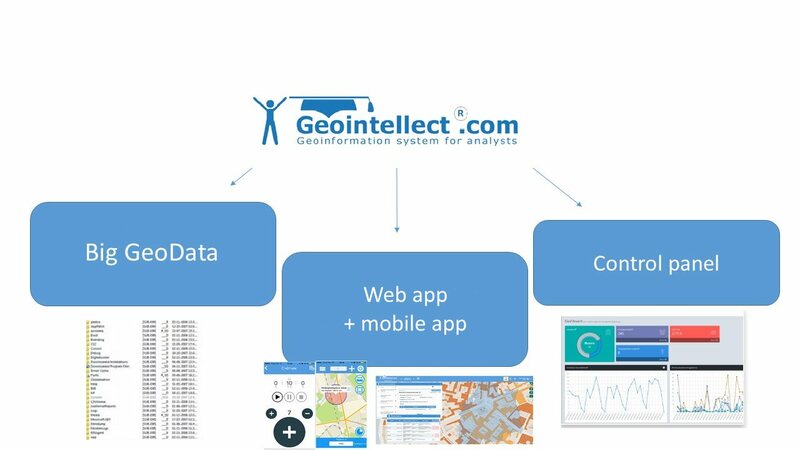 The client can use a “Geointellect” mobile app connected to the web service as a way to collect data “in the field”. 1. Small and regular clients need to analyze a location surrounding the premises. 2. A client visits geointellect.com, pays per 1 day or 2 days and calls our manager—analyst for web.app or downloads a “Geointellect” mobile app. Sales turnover from Google/Apple Stores. 3. The client opens the map and sees both houses. 4. For mobile.app the client pays for a particular type of business, e.g. chemist’s. 5. 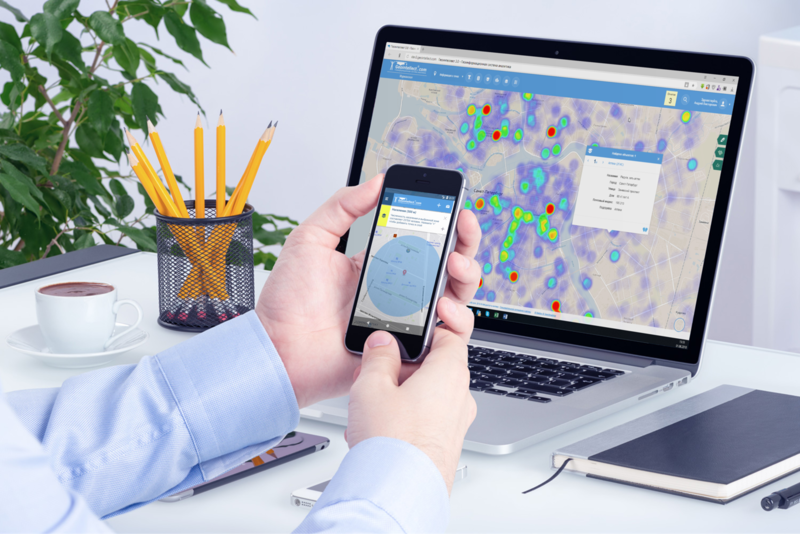 The client clicks on the house and Geointellect summarizes geofactors of the nearby neighborhood and predicts the sales turnover for the “chemist’s” segment after one downloading payment. You can repeat this operation for several objects in the same city. 6. If the client needs some other business, e.g. “public catering”, he/she pays again. If big companies want to launch the «Geointellect™.cloud» inside the corporate data network and integrate it with other information systems, we offer a «Geointellect™.platform» as a packaged software aimed to automate the business process of search and analysis of nearest places around the large companies / large shops (banks, gas stations, etc.) in many cities all over the world. a control panel for managing geodata access roles of particular territories and, sometimes, available geodatasets / relevant geodatasets sets according to territories. 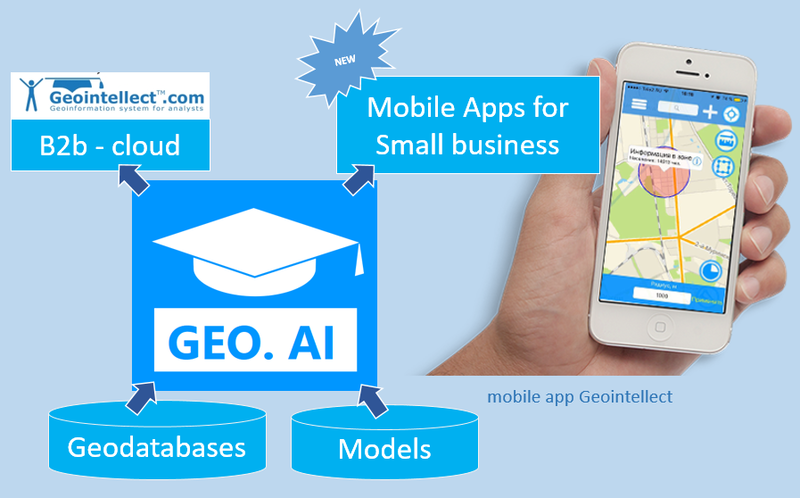 Geointellect™.cloud (web and mobile apps) are based on GEO.AI – an artificial intelligence which can analyze locations and give a result in the form of sales turnover prediction or a target audience portrait. The Center for Spatial Research conducts detailed investigations and implements innovative techniques into organizations practice to solve strategic and operational problems. 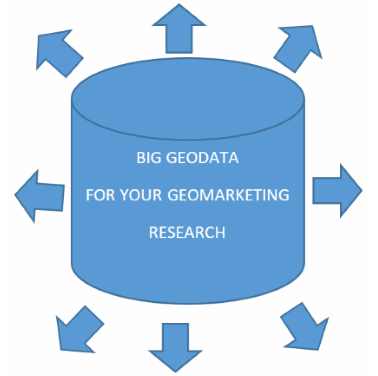 Geomarketing investigation techniques has already become a standard in the development of business plans, expansion strategies of trade chains. They are taken into consideration in the shopping center concepts and in the evaluation of investment attractiveness of the territories. 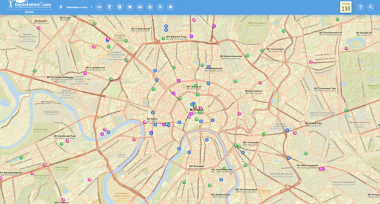 Geomarketing systems and geodata are actively used in the operational work of marketing departments, development departments, analytical departments of retail chains and developer companies in Russia. Our standards and innovations are aimed primarily at business development in metropolitan areas, million-person cities and cities with population of over 100 000 people in all regions of Russia, as well as at some of the CIS and other countries markets. Other areas (production, transportation, environment, etc.). 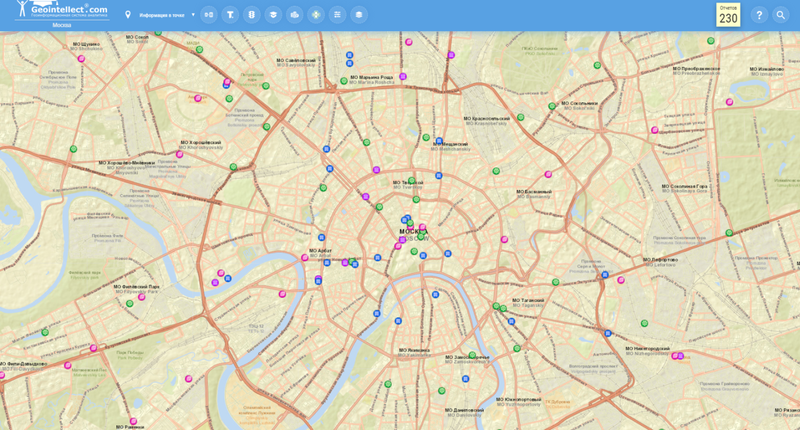 Center for Spatial Research (CSR) provides geomarketing research and consulting services in Russia applying modern geographic information systems (GIS). Our areas of expertise include site selection, trade area analysis, outlet network optimisation, location intelligence, geodemographics, etc. We also design and develop custom business GIS solutions. 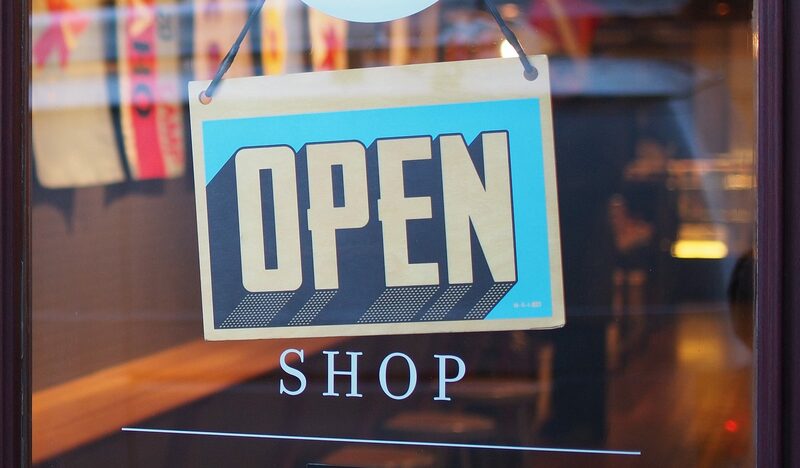 Markets and industries we specialize in include retail, banking, real estate development, telecom, and public services. The Center for Spatial Research helps B2B clients make better business decisions. 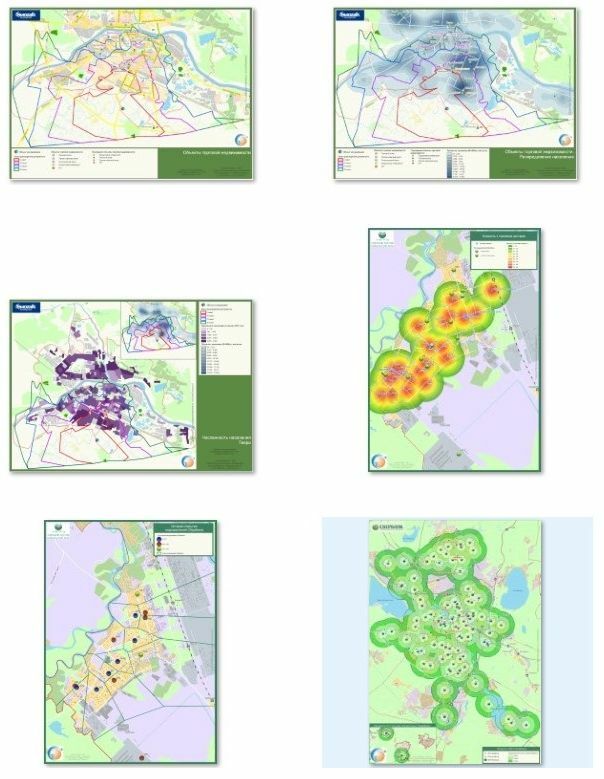 Using the latest information compiled from government data, academic research data and business intelligence sources, combining them and then applying spatial products and modern GIS tools. 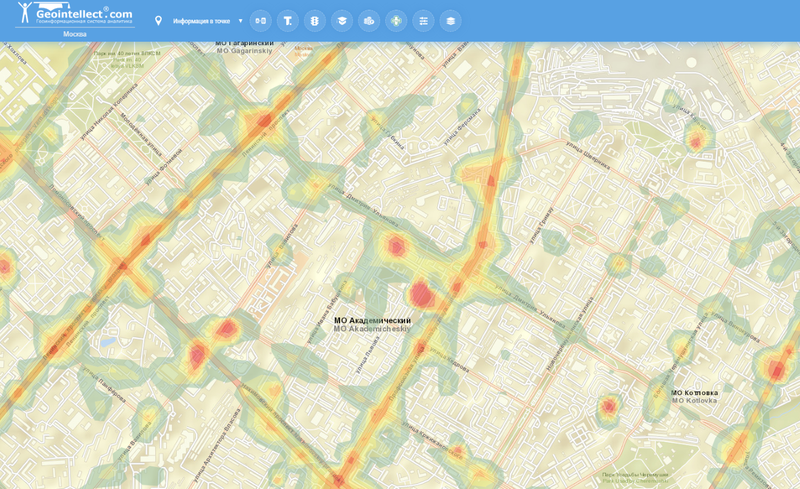 The Center for Spatial Research provides decision makers with highly advanced marketing tools, enabling them to make better decisions about where to locate and how to market their products and services. Founded in 2003, The Center for Spatial Research is an interdisciplinary team of business managers, marketing researchers, GIS analysts, IT specialists and field research coordinators who recognize the value of cooperating to assimilate important information to provide better business information. The company, located in Saint-Petersburg, Russia, specializes in providing geomarketing products and services around the world. Read more about the types of projects and solved problems. 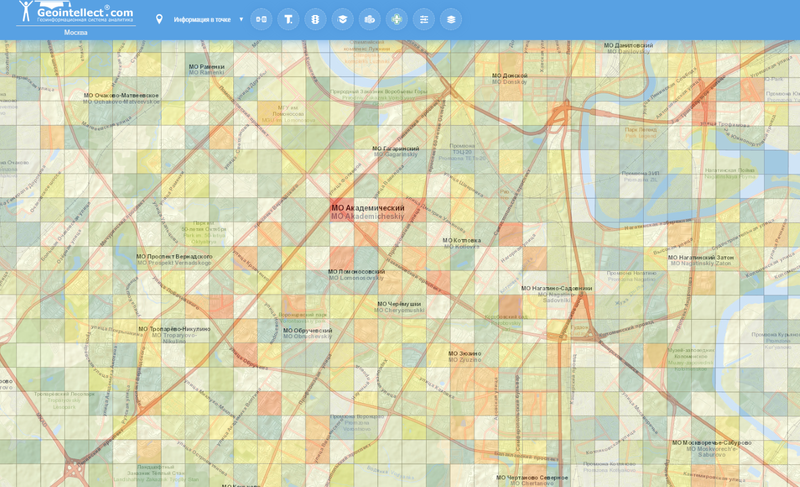 ✓ extension training courses on Geomarketing (Higher School of Economics, Saint-Petersburg, 102 hours, 2005). ✓ geomodel for the target audience (2004). ✓ mathematical model of ATM operations assessments for Bank (2010). ✓ geomarketing “cloud” (since 2010). 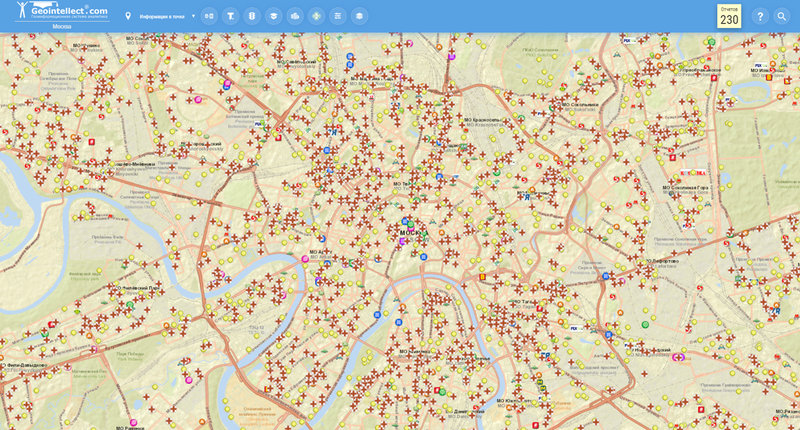 ✓ big projects in GIS for searching automation: Sberbank (2009), x5 Retail Group (2013). 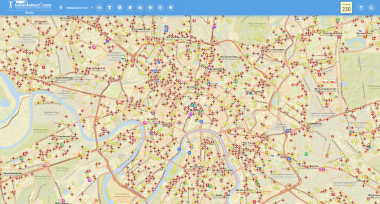 ✓ integrations of API.Geointellect (since 2017). 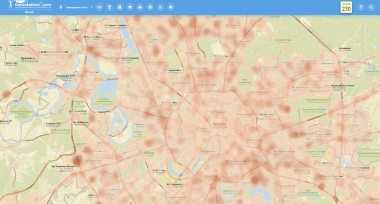 ✓ the biggest Russians marketplace for geoanalytical services, including ones for small business (2018). 2003 – The first analytical report for the network of pharmacies. Modeling of the incomes in the city. 2008 – The first major customer Walmart – geodatabases for its own geo-system. 2010 – The Idea and prototype of Geointellect Cloud, Costume developers, structuring geodata related to Russia, purchasing base maps for geodata. 2014 – Launching of geointellect. Index of comfort living Urban-module. Start of partnership agreements with suppliers of private geodata in Russia. Launching of a mobile application for data collection in the “field” Geointellect. The accumulation of competencies and the start of R & D of mathematical models for evaluating places. 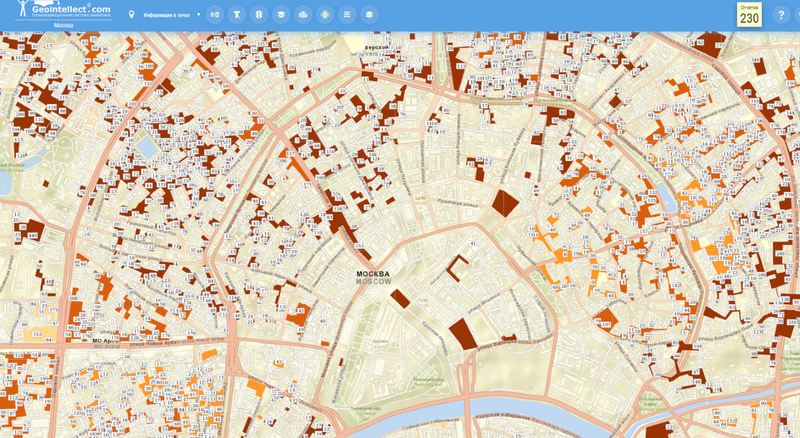 2018 – The emergence of proposals for small businesses – the Russian marketplace geoanalytical services, the first integration with large companies using the API. 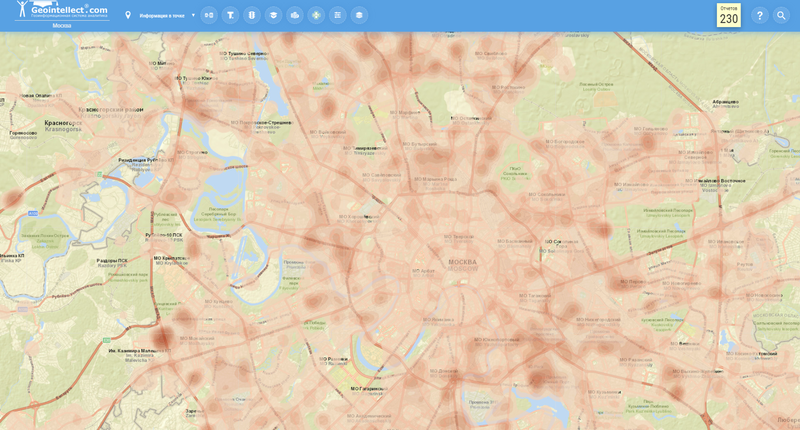 2005 – First courses on geomarketing in Russia, first customers from abroad (HomeCredit), the first major geomarketing research for the WorldClass. 2009 – Large geomarketing research for banking retail (Sberbank) in Russian cities. Active retail workshops for different segments. 2013 – Active sales of access to the cloud “Geointellect” – web applications for geoanalytics retail. A large IT project on automating business processes for the X5 Retail Group Geographic Information System (the beginning of a 5-year project). The first results of mobile data processing (Big Data) and the first sales. 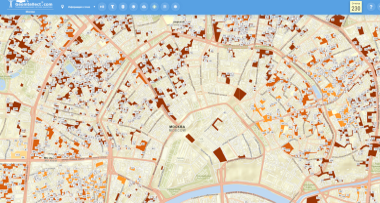 2017 – The starting of Geointellect 3.0 based on its own Open Source platform with improved usability. Released feature of API for integration into other systems. 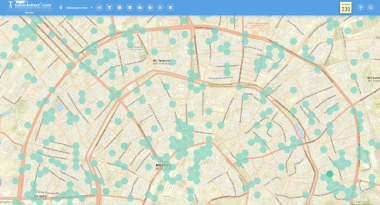 The appearance of robots – aggregators for Open GeoData. Entry into the market of Kazakhstan (first project). The first major performances (Yandex Conference 2017), Launching of a turnover calculator for retail – the first tool in Russia.